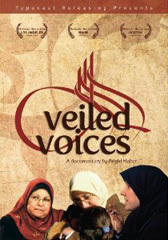 The following filmography offers a selection of films, both documentary and fictional, which treat the subject of veiling practices among Muslim women. These films may be used for pedagogical purposes in order to offer insights into many different societies and cultures, showing both the heterogeneity of the term “Muslim woman” as well as the incredible variety of veiling practices. Directed by Gillo Pontecorvo, screenplay by Franco Solinas and produced by Yacef Saadi, Casbah Films & Igor Film. DVD and video, 123 minutes, 1966. 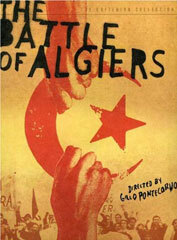 Summary: Gillo Pontecorvo’s fictional account of the Algerian War (1954-1962) depicts efforts of Algeria’s National Liberation Front (FLN) to resist French colonial occupation. 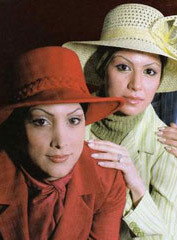 In order to help the FLN’s cause, Algerian young women and men both adopt French fashion and wear the traditional white veil, the haik. Both styles of dress act as a way to disguise the wearer, who is thus able to move easily among the crowds and colonial forces in Algiers, distributing and delivering precious supplies and weapons. Directed by Jennifer Bing-Canar and Mary Zerkel. Video, 30 minutes, 1996. Distributed by American Friends Service Committee/Chicago. Summary: Young Arab-American women (most of whom are second-generation immigrants) in Chicago discuss their cultures in context, exposing both positive and negative aspects of modern cultural intersection. The young women candidly speak about their traditions, noting the hospitality, protection and unique character that they offer. 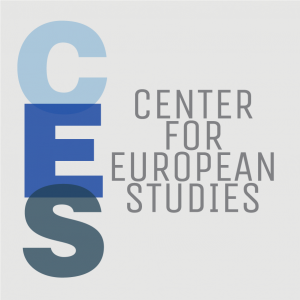 Issues such as sexism, discrimination, hostility and isolation (occurring both within the Arab-American community itself as well as outside of it) are examined along with cultural misconceptions and stereotypes. As a counter to discrimination, the importances of self-awareness, education and speaking out are highlighted. Directed by Cassian Harrison for Channel 4 (UK). Television (also available online), 49 minutes, 2001. This film contains much content that might be sensitive for some viewers. Summary: British reporter Saira Shah (whose father is Afghani) travels to Afghanistan in order to secretly film aspects of daily life, in a country in which “women have become invisible.” She begins her journey in Pakistani refugee camps, meeting many members of the Revolutionary Association of the Women of Afghanistan, RAWA, a group of women human rights activists who work subversively in both Pakistan and Afghanistan. 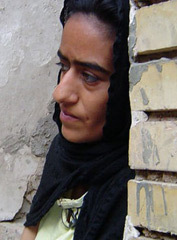 The group enables Saira Shah to operate hidden cameras in order to film the country’s poverty that she declares to have been “deliberately created by the country’s rulers.” Shah films women begging on the streets in burqa, as they are not allowed to work, as well as abandoned children who are left to starve in the open. 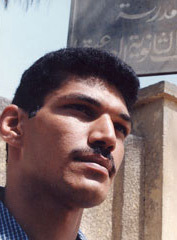 Shah also uncovers some remnants of normalcy in Kabul, however, such as a RAWA-run beauty parlor that conducts business in an old luxury apartment complex. Produced and directed by Tania Kamal-Eldin. Video, 25 minutes, 1995. Distributed by Midwest Media Artists Access Center. Summary: Egyptian-born ex-patriot Tania Kamal-Eldin prefaces this documentary by remarking that in the 1980s she noticed that more and more women in Egypt were wearing the hijab. The stated goal of her production is an attempt to find out why modern Egyptian women were returning to a practice that their ancestors struggled to reject. What emerges is a series of interviews that reflect a well-balanced sampling of public opinion concerning the wearing of the hijab both in meaning and in practice. The personal benefits of wearing the hijab (feminist empowerment, self-protection, neutralization of threats and attention from a male-dominated society, and closeness to God) are expressed alongside assertions that veiling is a clear obligation of women as mandated by the Quran. Researched, scripted and directed by Tahani Rached, produced by Karim Gamal El Dine, presented by Studio Masr. DVD, 68 minutes, 2006. Distributed by Women Make Movies. This film contains some content (allusions to drug use and prostitution) that may be sensitive for some viewers. 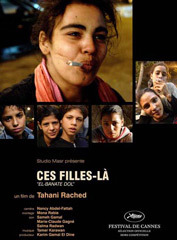 Summary: El-banate dol provides an intimate portrait of life on the streets for young orphans and run-aways in Cairo. The film opens with a girl riding on what appears to be a war-horse amidst big city traffic, cutting to shots of adolescent girls (some in hijab, most not) shouting insults and flirting amidst scenes of play and sadness in their created community. Already distanced from society due to their status as drifters, it does not take long for the film to raise issues of criminality. One young girl, perched in a tree, tears leaves off of a branch, replacing the traditional “He loves me, he loves me not,” with “They’ll jail me, they’ll jail me not.” Drug use is presented as offering an easily accessible escape from this harsh reality. One very young girl recounts her escape from an orphanage, saying that during her first night away she met a man who claimed that he loved her, plied her with drugs, and then raped her. Prostitution (and pregnancies) are also rampant in this environment and is supported by young men who resort to it as they “can’t get married and can’t have a place.” The film showcases a serene presence and influence in the figure of “Big Sister Hind,” a veiled adoptive mother of this community who visits and talks with the girls, offering both comfort and practical advice. Directed by Atteyat El-Abnoudi, produced by the United Nations Fund for Population Activities (UNFPA) & the Population Council. Video, 24 minutes, 1995. Distributed by Women Make Movies. Summary: This documentary film, by Atteyat El-Abnoudi, is dedicated to “all women who wish to improve their situations.” Directly addressing the alarming statistics of young Egyptian girls who have never attended school (20% of girls aged 10-19) as well as those who are married before the legal age of 16, this film promotes education as enlightenment and seeks to both determine why female education in Egypt is lacking and what steps have been taken to improve the situation. The psychological issues that are raised by cultural silences, i.e. not discussing what is considered to be taboo, greatly affect young girls who are raised to not speak to anyone (and specifically not to their mothers) about such matters. Some girls of rural families are taken out of school at a relatively young age in order to help out with the workload at home. Several Egyptian women are interviewed who are allowed to express their individual desires and ambitions in front of the camera—for example, one woman admits that her greatest dreams are to be able to travel and communicate with others and to learn how to write. 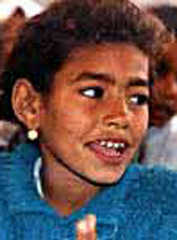 The final message of this film is one of hope—there are several organizations in Egypt that actively promote adult female aducation, teaching both literacy and working skills. 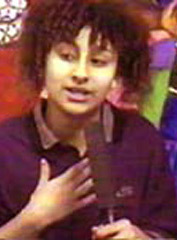 Produced and written by Tania Kamal-Eldin. 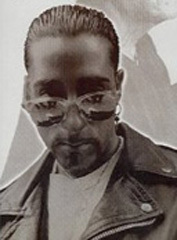 Video, 25 minutes, 1999. Distributed by Women Make Movies. 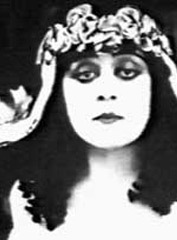 Summary: In this montage of images and videos taken from the golden age of Hollywood films, Tania Kamal-Eldin analyzes Hollywood’s (and America’s) Orientalist fascination with Middle-Eastern cultures. In these films, Arab and North African women are products of fantasy: sexualized, seductive and dangerous. This archetypal woman is in stark contrast to portrayals of European women, who are typically presented as being demure and powerless. National Geographic Digital Media, Television & Film. Online streaming video, 27 minutes, c.2000. Summary: An American photographer with Iranian roots travels to Iran on assignment for National Geographic in order to capture “the fabric of daily life” as a counter to the country’s image as war-like and revolution-torn. The photographer veils without complaint when in public spaces, “ . . . Just as an underwater photographer has to wear a wet suit.” She visits street markets, mosques at the time of prayer, her family and political protests in search for material. She comments upon the difficulty of finding female subjects who are willing to be photographed amid the country’s law against women being photographed without hijab while also emphasizing that Iranian women are well-educated and socially active. Directed by Mehrdad Oskouei. DVD & Online streaming video, 52 minutes, 2005. This film contains some content (surgical) which may be sensitive for some viewers. Summary: Mehrdad Oskouei examines the high prevalence of nose jobs in contemporary Iranian society. Oskouei addresses this issue raised in an “appearance-based” society to determine why cosmetic surgery has become so widespread by interviewing those seeking, or affected by, the practice. The vast majority of those questioned express an ardent desire for the surgery—declaring “it’s in fashion” as the number one motivation. Oskouei also highlights the role that the Iranian Revolution has played, enforcing the covering of all female body parts excepting the face. One female interviewee declares, “We need variety! We can’t wear orange manteau so we get a nose job.” Peer pressure and even suggestions from doctors also encourage the surgery, which is now also becoming popular among Iranian men. Directed by Yousry Nasrallah. Video, 72 minutes, 1995. Distributed by August Light Films. Summary: This film treats the subject of the veil and the relationship between the sexes by following and documenting the daily lives of the Samra family from Cairo, Egypt. Personal interviews with family members shed light upon love, marriage and family, including an examination of the contradiction among individual wants and desires and familial or social obligations. 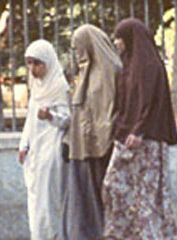 Some of the younger family members and their friends gather together and discuss contemporary social attitudes towards and practices of veiling, expressing a wide variety of opinion and treatment. Directed by Atteyat El-Abnoudi. Video, 30 minutes, 1983. Distributed by Women Make Movies. Summary: This documentary follows 45-year old Aziza as she works alongside her family at the traditional farm that supports their livelihood. As she works, Aziza reflects on her life, noting the changes that have affected both her and her family, such as birth control and attitudes towards education for women. She seems preoccupied with education, emphasizing her lack of schooling and illiteracy while focusing on the education of her children. Aziza states that all of her sons and one daughter attend school while the rest of the women were brought up as farm laborers. She laments her lack of familial authority and of necessary funds that could have financed the educations of her other daughters. Directed by Marjan Alizadeh. DVD and online streaming video, 53 minutes, 2009. Directed by Nahid Persson for Cosmo Doc Aps & Sveriges Television AB. Video, 52 minutes, 2005. Distributed by Filmmakers Library. -This film contains content (drug use, prostitution, child neglect) that may be sensitive for some viewers. Summary: Nahid Persson, an Iranian woman who fled to Sweden in 1982 due to the rise of Islamic fundamentalism in her home country, returns 17 years later, finding it more desperate and poverty-stricken than before. She laments the difficulty of the execution of her documentary film project due to the obstacles imposed by the Revolutionary Police. 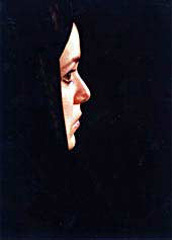 Because she is filming, she is harshly questioned and states, “I have a permit, speak the language and wear the veil—but I am still stopped.” The remainder of the film largely takes place in an interior setting, focusing on the daily lives of two women, with children, who live together in Tehran. Left to provide for themselves (both husbands are in jail on drug and/or murder charges), the women resort to prostitution and the easy escaped offered by the drug heroin. Persson also examines the practice of “sighe” marriages—temporarily agreed-upon marriages that are approved by Muslim state officials and are often negotiated monetarily, thus serving as a sort of an officialized form of prostitution. Directed by Bregtje van der Haak, presented by VPRO Backlight. DVD, 77 minutes, 2006. Distributed by First Run/Icarus Films. Summary: Bregtje van der Haak seeks to examine the generational situation of women in contemporary Saudi Arabia in her documentary film, Saudi Solutions, by filming their daily lives for a period of two weeks. She attends a gathering of Saudi businesswomen in Riyadh at the Chamber of Commerce, noting that her all-male crew was not allowed inside, and that no women present were willing to appear in her film. The filmmaker has a guide to help her navigate Saudi terrain in the form of Suzanne, a female journalist who wears niqab and abaya on camera. She also travels to factories that showcase all-female staff members and workers, who are also in niqab and abaya. The latter half of the documentary focuses on the efforts of Prince Al-Waleed bin Talal, a businessman, investor and member of the Saudi royal family, who widely employs women while discouraging the abaya unless it is worn for prayer. While Prince Waleed does emphasize the fact that he is traditional, he states that many social changes ought to be made in Saudi Arabia, such as the inclusion of more women in the country’s workforce. Directed by Joan Mandell, produced by Sally Howell and Joan Mandell for the Arab Community Center for Economic and Social Services. Video, 45 minutes, 1995. Distributed by New Day Films. Summary: Opening with footage of an epic poet who “like Arab immigrants in America, [. . .] stands at the edge of one tradition and the beginning of another,” this documentary follows an Arab-American community center in Detroit who invites a group of traditional storytellers from Egypt in order to address differences among the perceptions of Arab culture that may be found across generations of Arab-American immigrants. Directed by Ines Hofmann Kanna. DVD, 36 minutes, 2008. Distributed by Documentary Educational Resources. Directed by Marilyn Faunt and produced by Elizabeth Fernea.Video, 26 minutes, 1982. Distributed by First Run/Icarus Films. Produced and directed by Brigid Maher, co-produced and written by Karen Bauer for the School of Communication at American University. DVD, 59 minutes, 2009. Distributed by Typecast Releasing and Arab Film Distribution. Summary: This documentary follows three dynamic female leaders from different Muslim-majority societies (Lebanon, Egypt and Syria) who are revitalizing their roles as social and religious leaders, hearkening back to the time of the Prophet, when women widely taught. Ghina Hammoud, of Beirut, Lebanon, has used her personal struggle (spousal abuse, divorce and separation from her daughters) as a point of departure, proclaiming that if proper Islamic teachings and values had been followed during her legislative proceedings, her lot would have been much better. 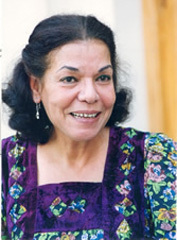 Dr. Su’ad Saleh, from Cairo, Egypt, is a professor of Islamic jurisprudence, television personality and author. 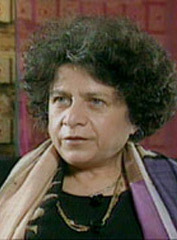 She discusses the history of female leaders in Islam, declaring that, “Today, those who try to limit women are not only oppressing them, but are also counter to Islamic law.” She argues the importance of discussion and honesty, also urging that Islam should, for greater justice, organize every facet of life—from spiritual to bodily needs. She also laments current criticisms of Islam, stating that “today we have reduced Islam to a veil (niqab), a scarf (hijab), and a beard.” Huda al-Habash, from Damascus, Syria, is an active housewife who also teaches lessons in her local mosque. 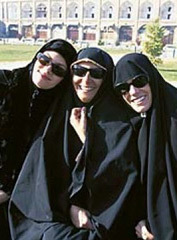 Huda, who wears the hijab like Ghina Hammoud and Dr. Su’ad Saleh, states that: “Outside the home, the veil is an obligation for God and Islam . . . . all Muslims agree that hijab is an obligation, but there are different styles. A believer’s faith is not complete until she wears hijab.” The film concludes with testimonials from the students whose lives have been touched and broadened thanks to the dedication and work of their admired teachers. Their testimonials highlight the importance of differences and difficulties for the sake of learning, proclaiming that both teaching and learning are obligations for all. Streaming video, 34 minutes, 2003. Films Media Group. Streaming video available online via UNC Libraries. Summary: Young Muslim Americans reflect upon the attention that has been given to hijab as symbol and practice in the United States post-9/11. 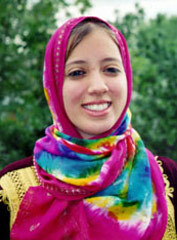 A variety of young women (second-generation Greek, African, Afghani, Indian, Libyan and an American convert) emphasize the vast diversity that exists in and among Muslim communities in their evaluations and opinions of hijab. What follows is a discussion that challenges common Western conceptions of Muslim women and society. The subject of hijab is broached from a variety of angles and the reasons for choosing to veil are treated fairly and candidly. The importance of education (and in particular, the education of women) in Islam is highlighted alongside the sacred nature of knowledge. 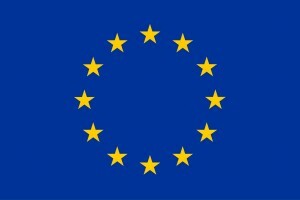 The young women universally agree upon the importance of educating ourselves and of learning from one another. Streaming video, 30 minutes, 1993. Films Media Group. Streaming video available online via UNC Libraries. Summary: This documentary focuses on Dr. Leila Ahmed, professor of Women’s Studies at Amherst University and author of Women and Gender in Islam. Declaring that today’s Muslim women are caught in discourses of sexual inequality and the veil, Dr. Ahmed poises herself to examine the following question: “Are Islamic teachings really misogynistic?” Dr. Ahmed insists upon the rich variety of Muslim women that in the past, and today, reject homogenous classifications and definitions. She discusses veiling practices, claiming that veiling pre-dates Islam and was likely an adoption of Mediterranean practices reserved for upper class women, used by Muslim women to emulate the wives of Muhammad. She insists upon the fact that veiling is in no way a mandate of the Qu’ran, which instead advocates an indeterminate moderate dress code for both men and women. Dr. Ahmed examines the contemporary and complicated resurgence of the practice of veiling, describing it as a way of resistance against the West and as a communitive mark of demographic transformation in the Islamic world, i.e. the flood of people moving from more rural areas to cities. She claims that the Islamic message is one of justice and that Islamic history shows that women have had critical social roles in shaping the directions and futures of their communities. Lauding the activities of Muslim women everywhere who are educating themselves and questioning their worlds, she hopes that moments of transformation will occur.